Q: Tell me about why and when you decided to start an etsy shop? A: Coffee. I may be an addict, I definitely need it to get my brain juices flowing every morning! No my inspiration really comes from the beautiful creations I find in nature, spending time with family, and browsing my favorite shops (anthro, j.crew, fossil, UO, just to name a few...) Good thing I live in the country, or else this etsy shop might not have any moolah to run on! Q: Any new art/crafts you want to learn? A: I am in the process of learning graphic design and am SO pumped! I am constantly amazed at technology & find that as a small business owner, it is SO important for me to keep up with it all, at least as much as I can. I am definitely not the first to jump on the technology train, yeesh, I still have a flip phone (I know, so lame.) but I am trying my best to be a constant student, to learn & try new forms of art...I never want to become a person who just doesn't want to learn something new. Q: Favorite thing about blogging? A: I think my favorite thing about blogging is the brainstorming that comes before the post. A lot of times, it makes me go through my week or my day & think about things that I am thankful for, fun things that have happened, or interesting items that I want to share. So many times they are precious moments, small details or fun accomplishments that if not for blogging, I would probably just sweep aside & forget about or treat as insignificant, when every breath is so precious. Q: If you could have any celebrity show of one of your designs, who would you pick? A: I am a closet disney lover (ok, not so secret anymore!). Yes, I'm 25 & still watch kids shows. What can I say, I am addicted to the cheese-ball, tween dramas...admitting is the first step to recovery, right? So with that said, if Selena Gomez ever carried one of my wristlets or bags, I think I might die. Q: Favorite candy, drink, and breakfast food? A: So, I'm kind of a health nut & actually don't eat candy *gasp*, I know...more proof that I am a total weirdo. I do like chocolate covered coffee beans though, so if that counts as a candy, then we have a winner! Favorite drink? an Iced Americano, slightly sweetened with a little bit of cream...delicious. And to break the coffee theme, my favorite breakfast food is egg & avocado tacos on corn tortillas. Don't knock it before you try it. They are SO yummy. Visit My Little Sunshine Handmade and come back and tell me what you love most! The pleated hobo bags are faaabulous. I favorited Lovely Poppy on Etsy. I liked MLS on Fb. I follow blarita on Twitter. I follow sunshinefabric on Twitter. I love the pinwheels and confetti headband - so pretty! 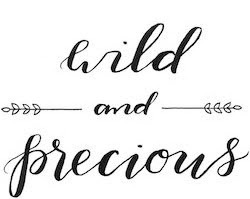 I follow Wild and precious! I liked wild and precious on fb. I liked little sunshine on FB. ADDED HER SHOP to my favs. I love the windswept wristlet in spice! I added Little Sunshine to my favs on etsy! I like Wild & Precious on fb! 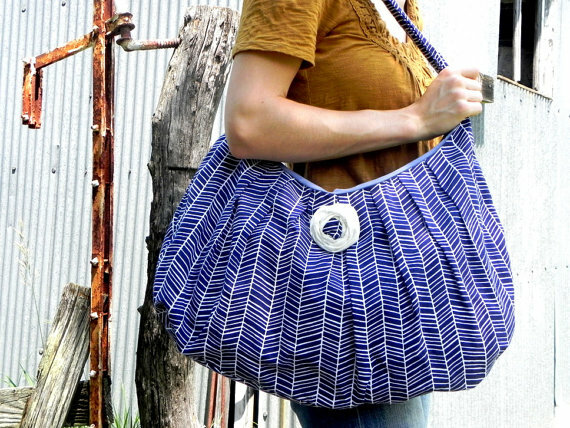 I love the windswept hip bag ocean bag. the Candied Popcorn Rosette Clip is very pretty! I like Pleated Perfection Totes. I love the Pleated Hobo Satchel in Saffron and Mint! Thanks for the chance. I added My Little Sunshine Handmade to my favorites on etsy! I like Wild & Precious on Facebook. I like Little Sunshine on Facebook. already a fan of wild & precious on facebook!! I already follow The Carters aka Ashley's blog.. I like the Windswept Wristlets in Punch and Spice! Added her shop to my Etsy favs! Following My Little Sunshine on Twitter (@sazzyfrazzy)! I love the Windswept Wristlet in Slate! I'm a big fan of grey and yellow. My favorite is Kindle/Nook E-reader Cover in Burlap Lace. I just love the Pleated Hobo Satchel in Saffron and Mint! One of my favorite color combinations. I really love the saffron and mint hobo bag. Great etsy shop great photos too! LOVE the Windswept Wristlet in Woodcut. I like the Modern Dots Diaper Bag. I like the windswept wristwlet in natural turquoise! I love the Windswept Wristlet in Charcoal. I'm loving the diaper bags and hair pins! I love the wristlet in hydrangea blooms!! I follow the my little sunshine blog! I love the cascading roses wrislet clutch. i like the Ruffled Sunshine Diaper Bag, i wonder if i could use it for a laptop bag? I love the Pleated Hobo Satchel in Saffron & Mint the most! Cute! Ohhh, the "Windswept Wristlet in Cloudy with a Chance..." is just so pretty! I already follow you on Twitter as dspdavey. I follow Ashley on Twitter as dspdavey. i think i like the hip bag best! like MLS on fb too! I LOVE the windswept hip bag in ocean blue! Love the Pleated Perfection Tote! I "like" Wild & Precious on Facebook. I follow @blarita on twitter! 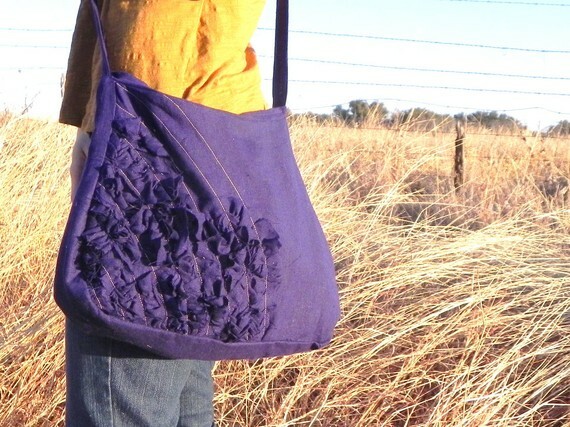 I love the Windswept hip bag in blue. That color is gorgeous! I am already a follower of your blog, so I hope this counts as a "follow" entry. I am now following @sunshinefabric on Twitter. I tweeted about this giveaway, I tagged @sunshinefabric in the tweet. My twitter account is the same as my email and blog. I like the piwheels and poppies headband, so cute!! Such a great shop! Love her stuff. I follow W&P. I also follow Ashley's blog. I follow Ashley on Twitter. Oops, I haven't been leaving my email. She has such amazing stuff, how can I choose just one? Being a mom of three wee ones I would love the Ruffled Sunshine Diaper Bag & Zip Pouch. Although, I could easily change my mind at any second. I love the Confetti Rose hair clip in mysunshinehandmade's shop! I have hearted My Little Sunshine Handmade (as TealStripes). Love the Windswept Linen Hip Bag, Sweet Cocoa!